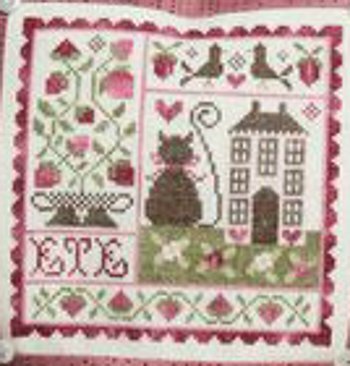 "Summer Square" is a counted cross-stitch chart with instructions translated in English. The model on the picture has been stitched on a 40 count linen fabric (colour Ecru) using one strand of cotton over two threads of fabric (see the mounting by Tralale on the second picture). You can stitch this pattern on a lower count fabric using two strands of cotton over two threads of fabric.